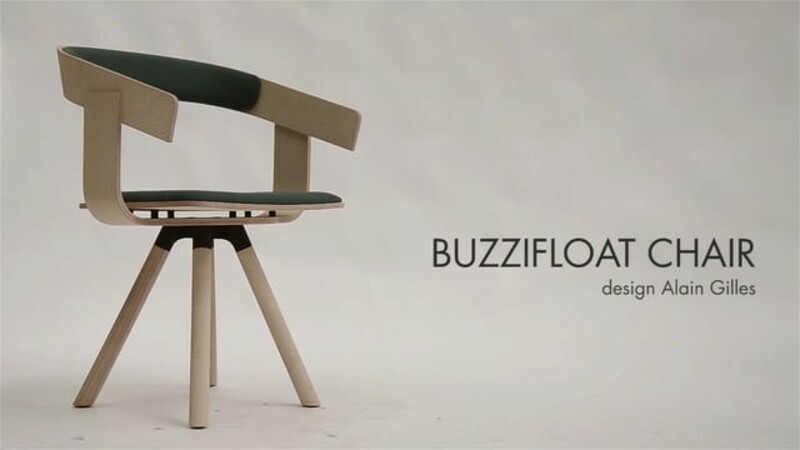 The concept of the BuzziFloat came to me whilst on holiday, passing by a train barrier at a railway crossing. It had this U-shape allowing the movement of the gate that made me think of two identical pieces that would become the backrest and the side support on which the seat pan also happens to rest. 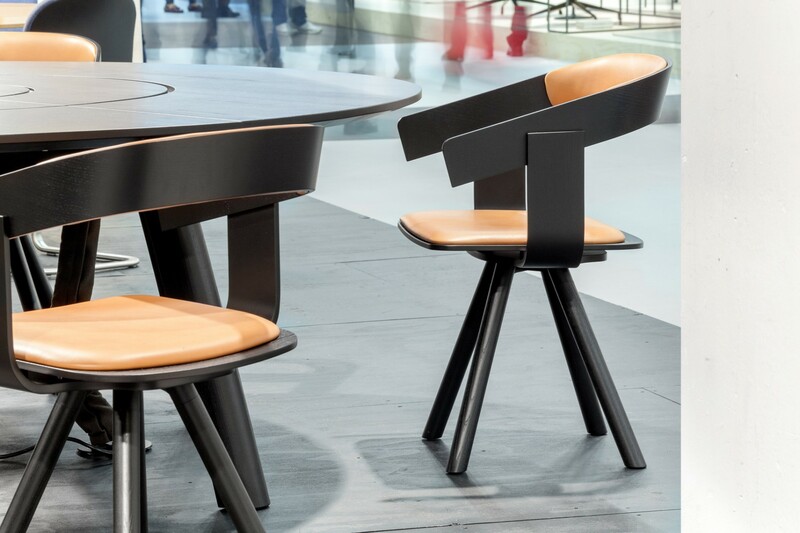 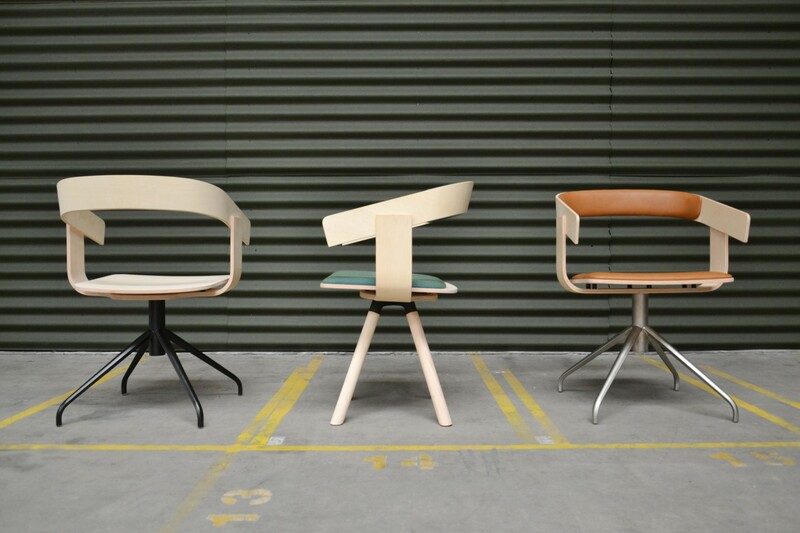 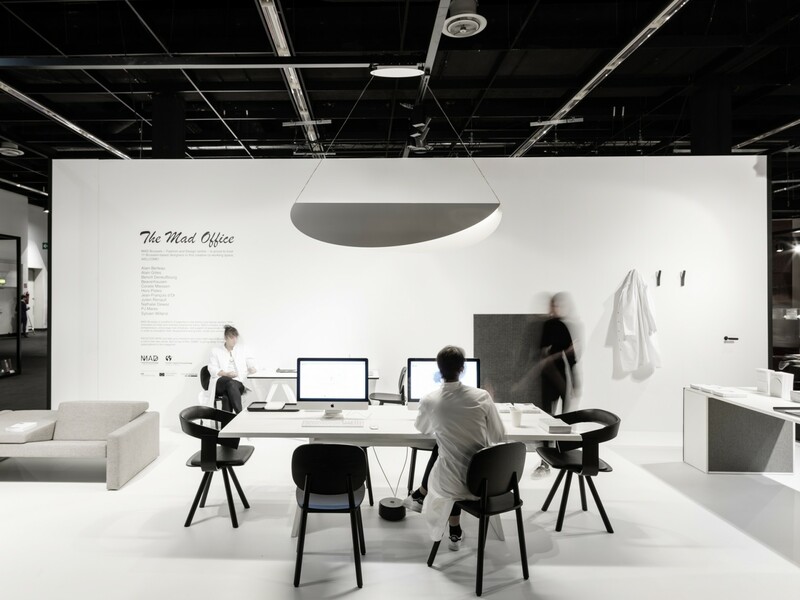 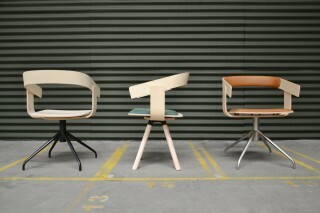 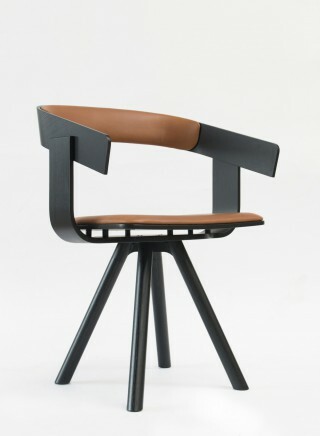 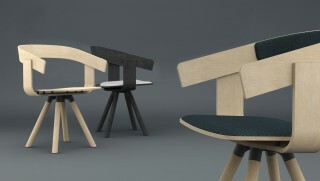 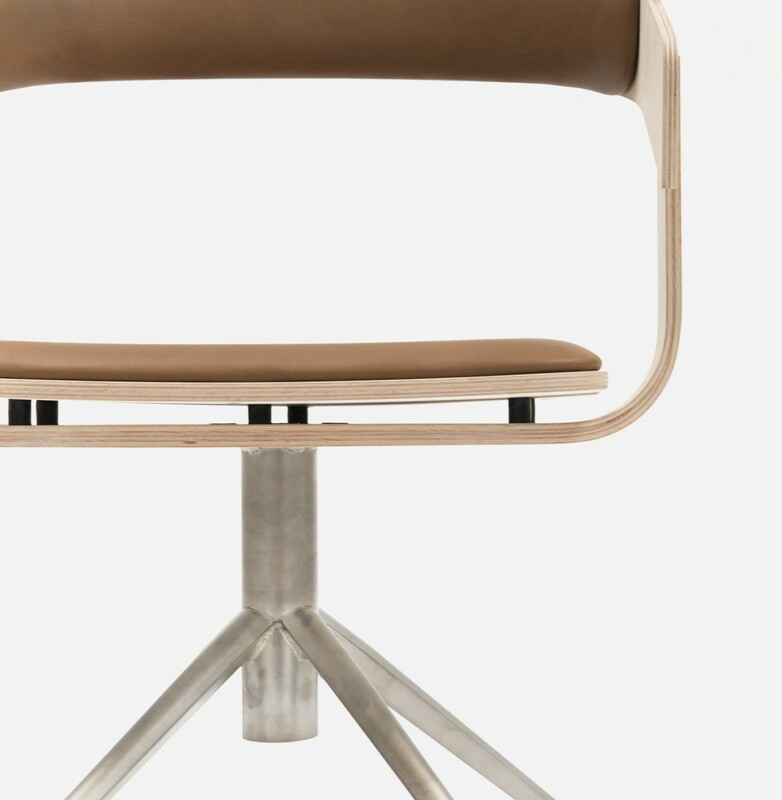 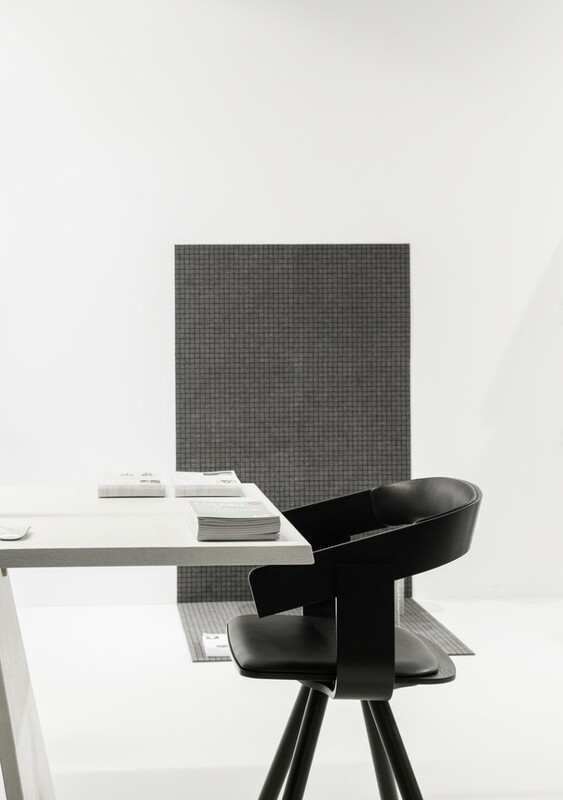 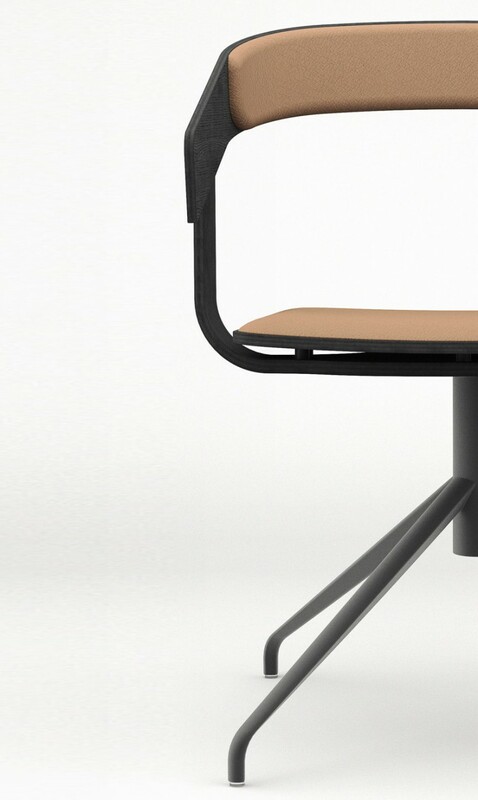 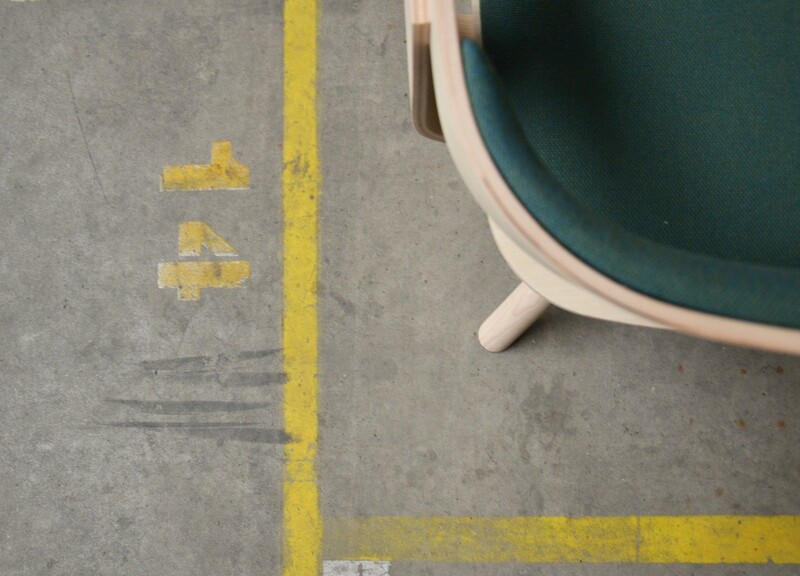 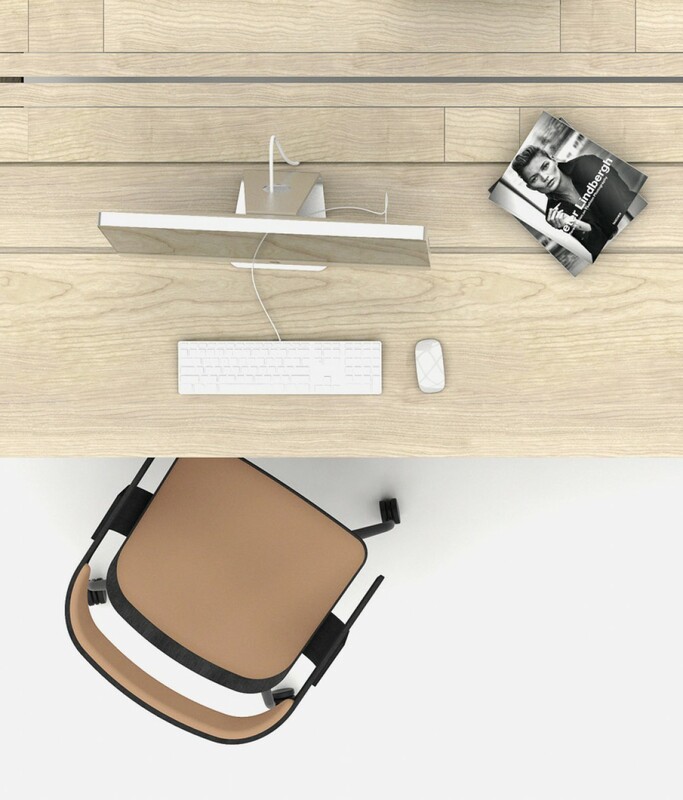 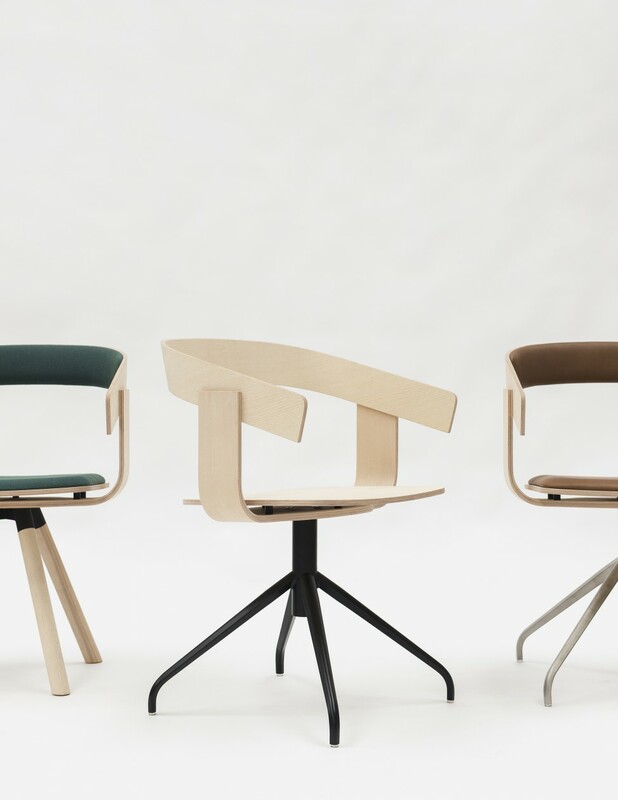 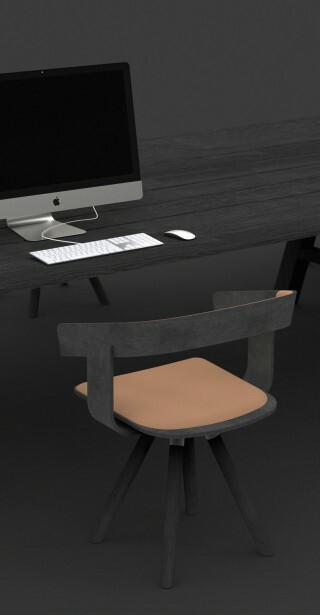 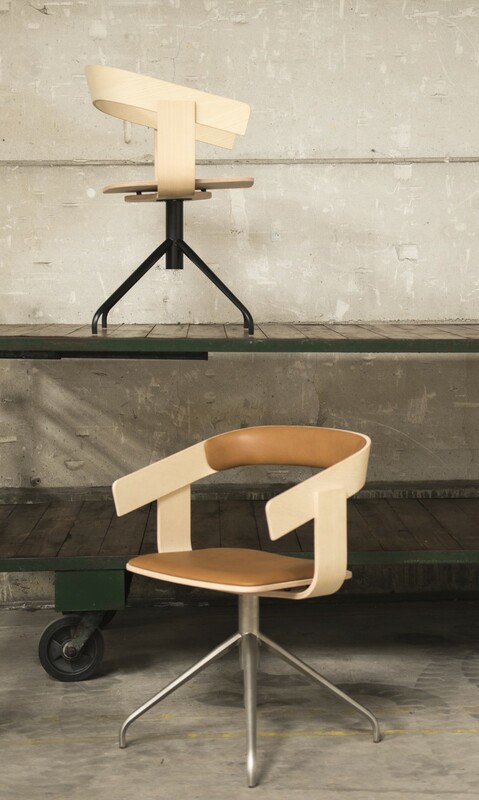 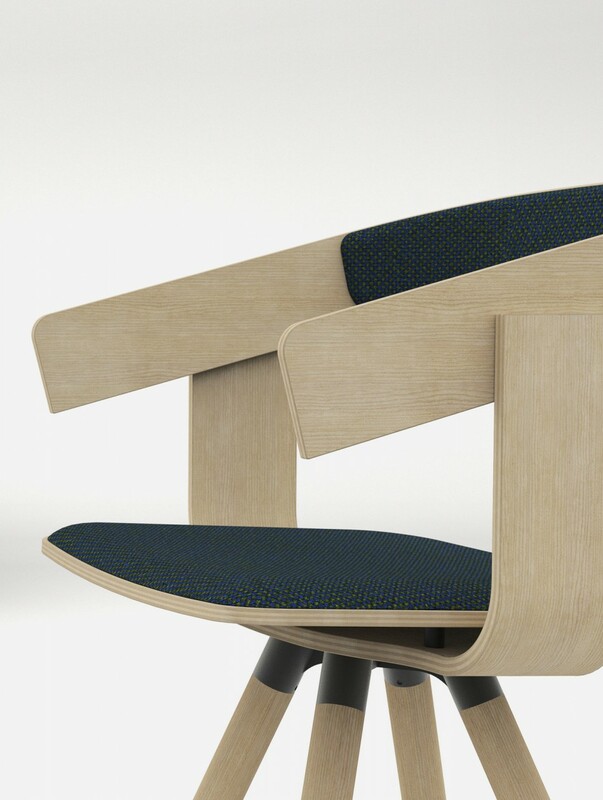 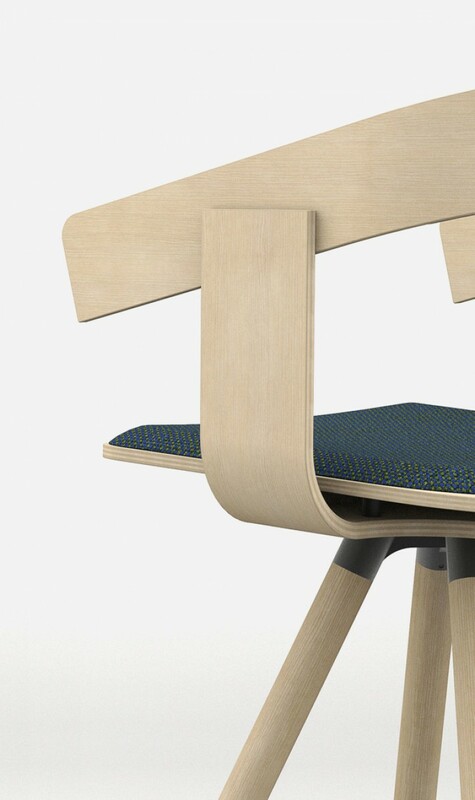 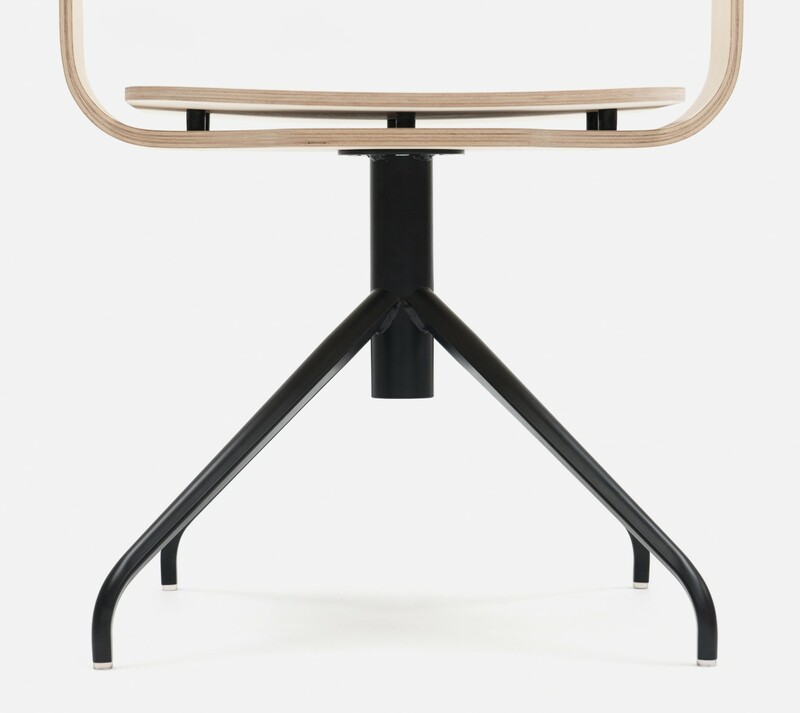 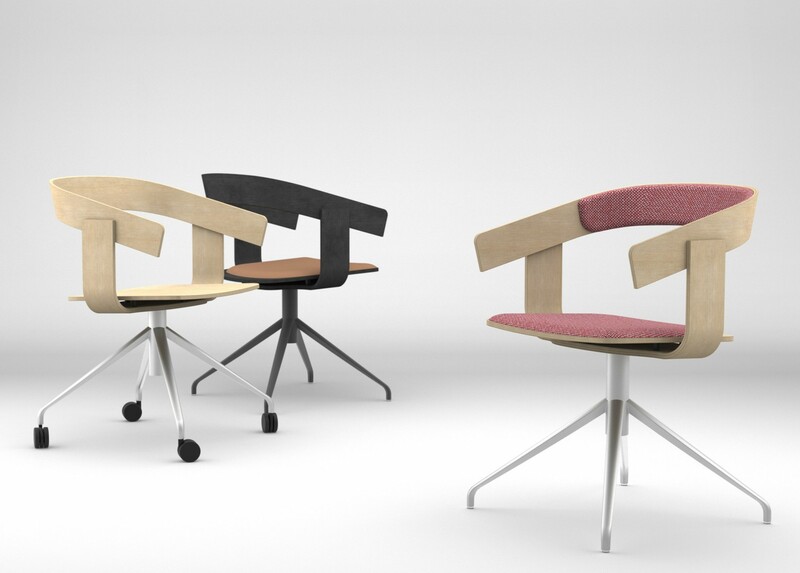 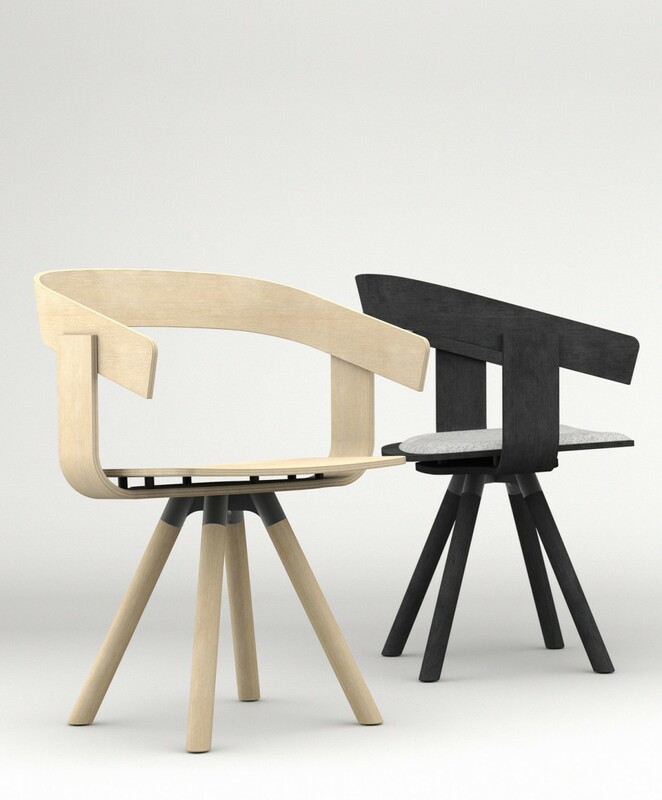 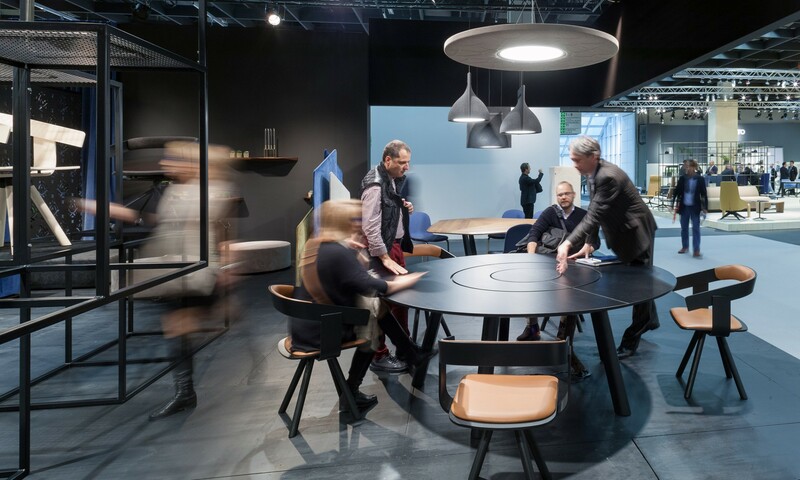 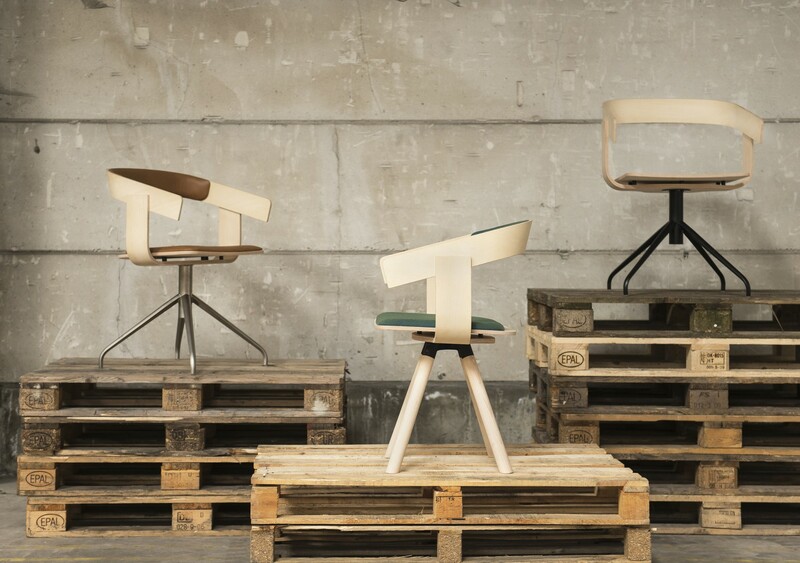 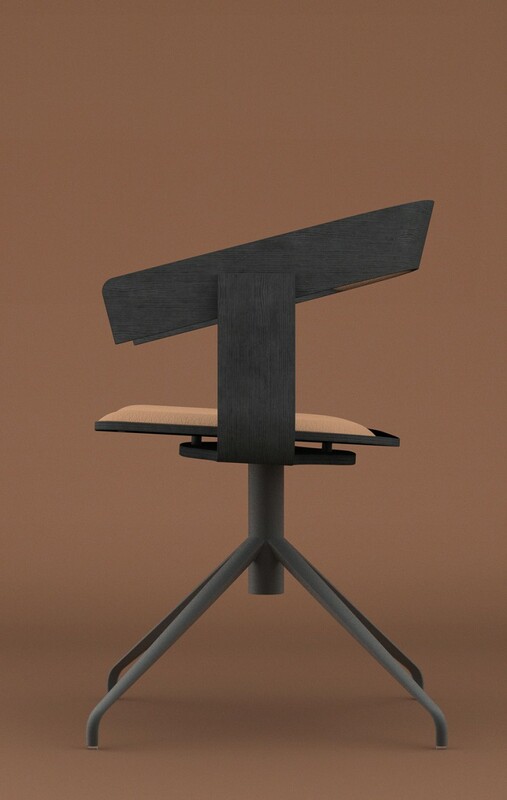 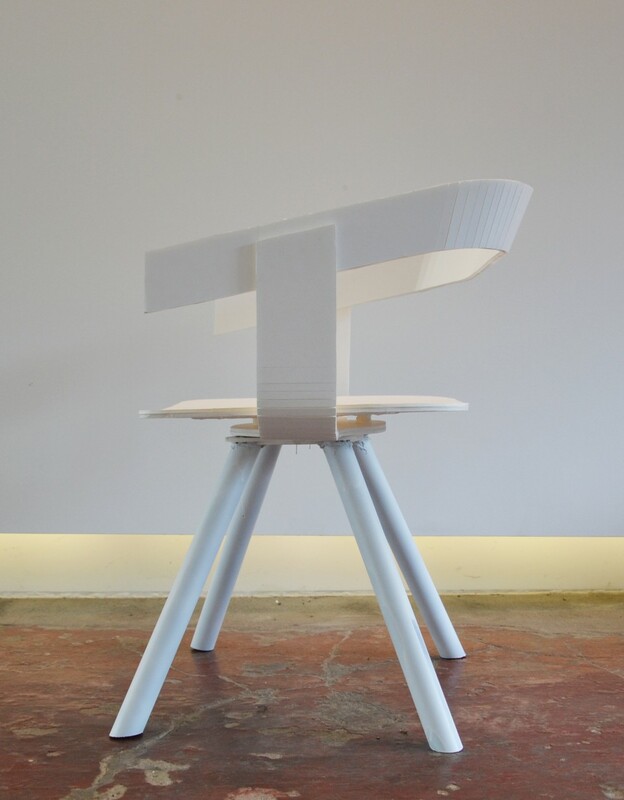 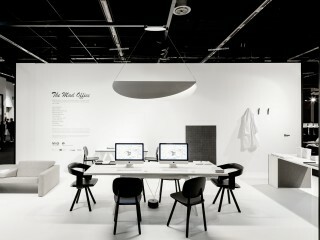 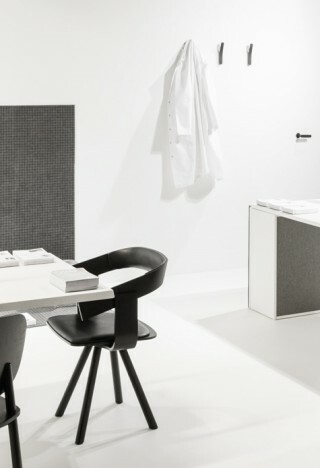 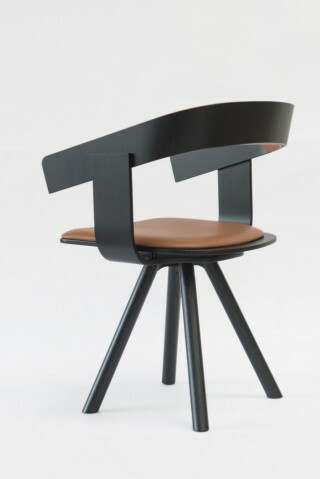 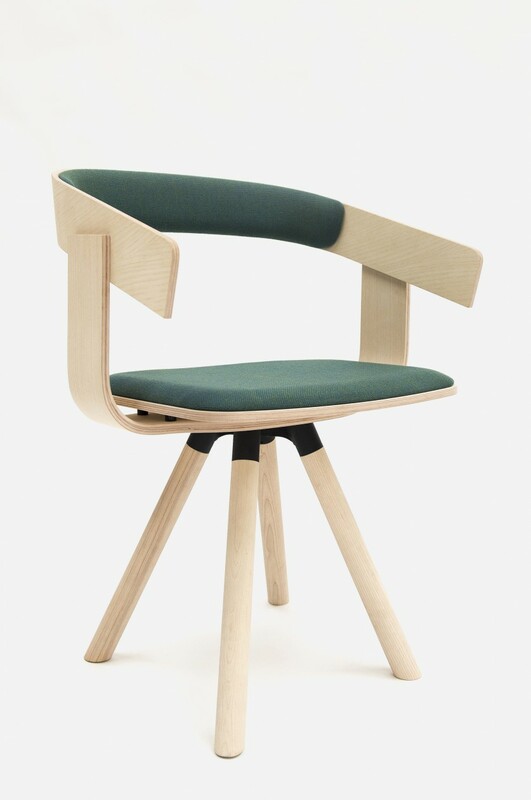 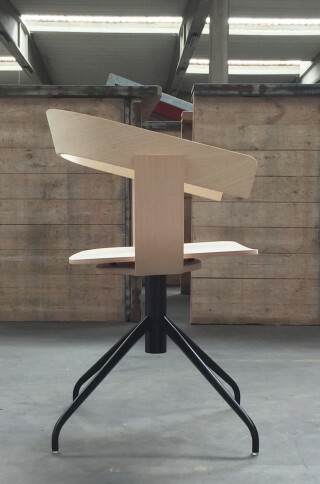 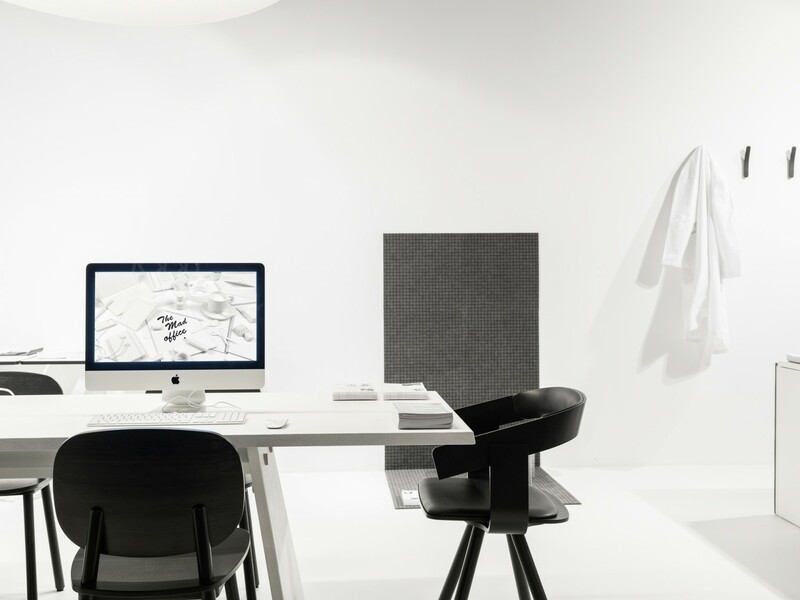 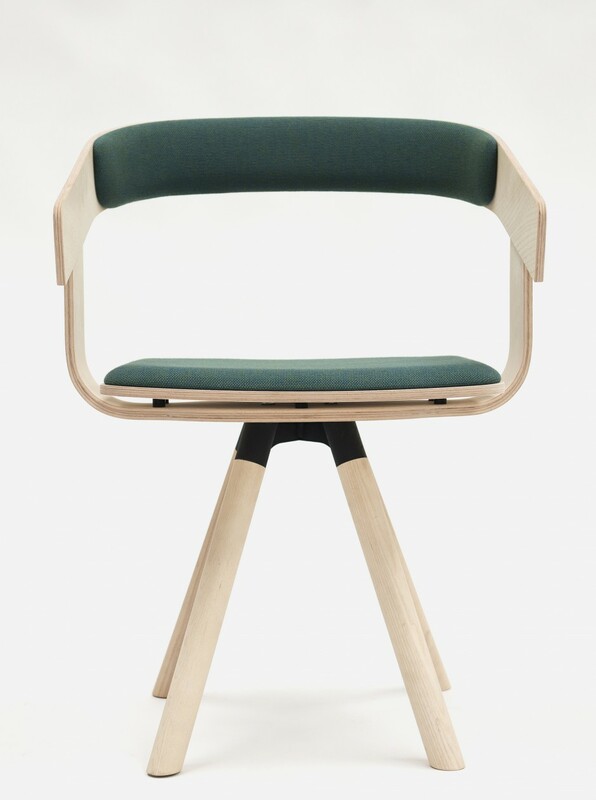 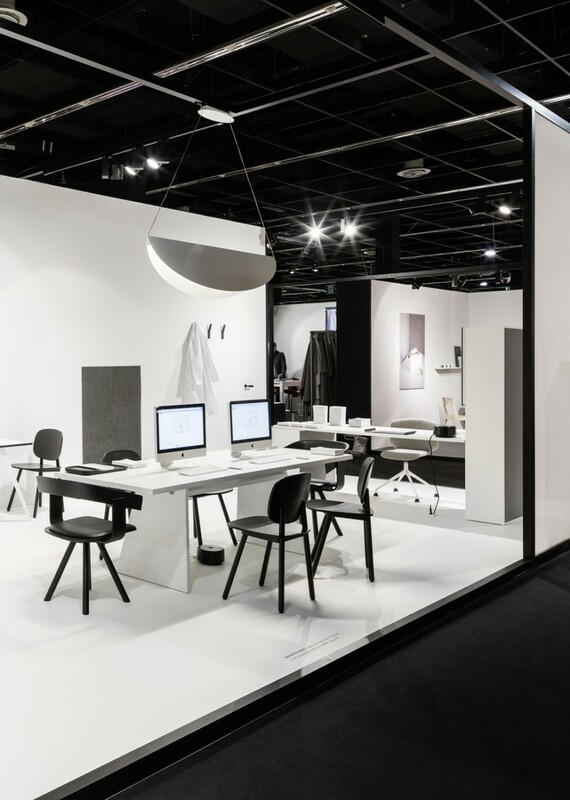 The gap created between the seat and the supporting structure creates a floating effect, hence the name of the chair. 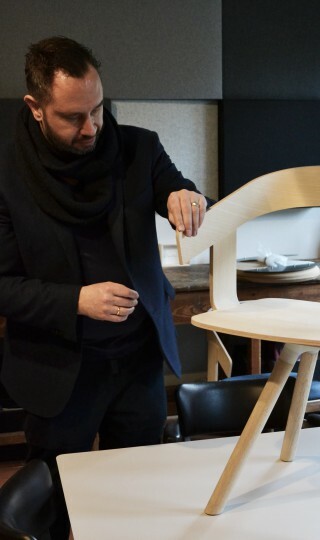 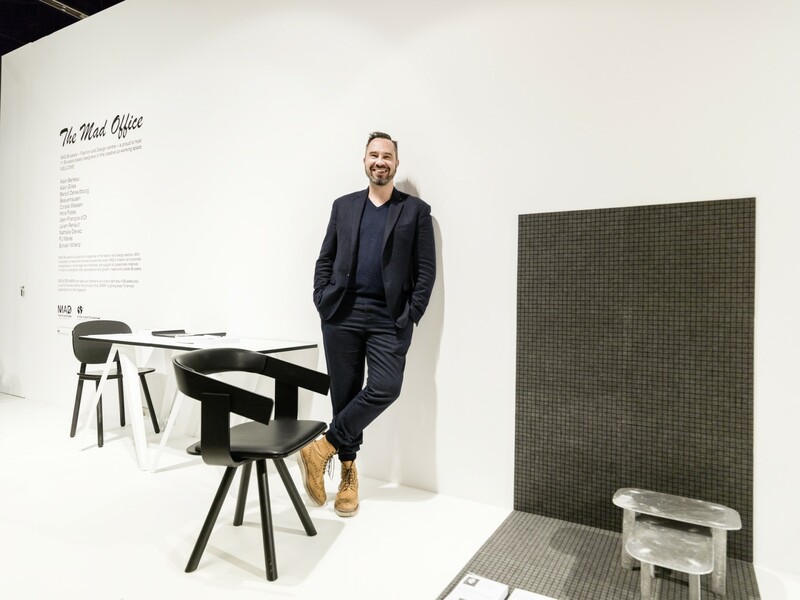 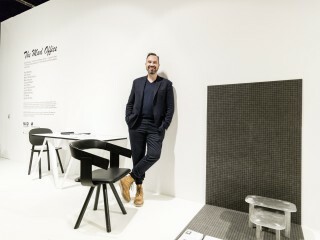 The construction of the chair is also very much based on a part of my work that I have come to call ‘New Simplicity’, where a lot is done with minimum material; products that are visually simplistic but retain a strong and distinct personality. 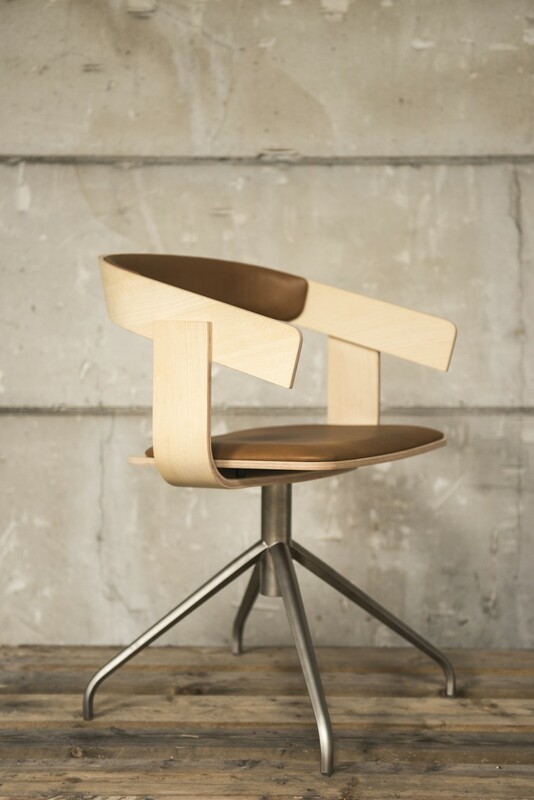 The chair is designed and constructed in a very striking manner, as if the elements have been placed and glued one on top of one other. 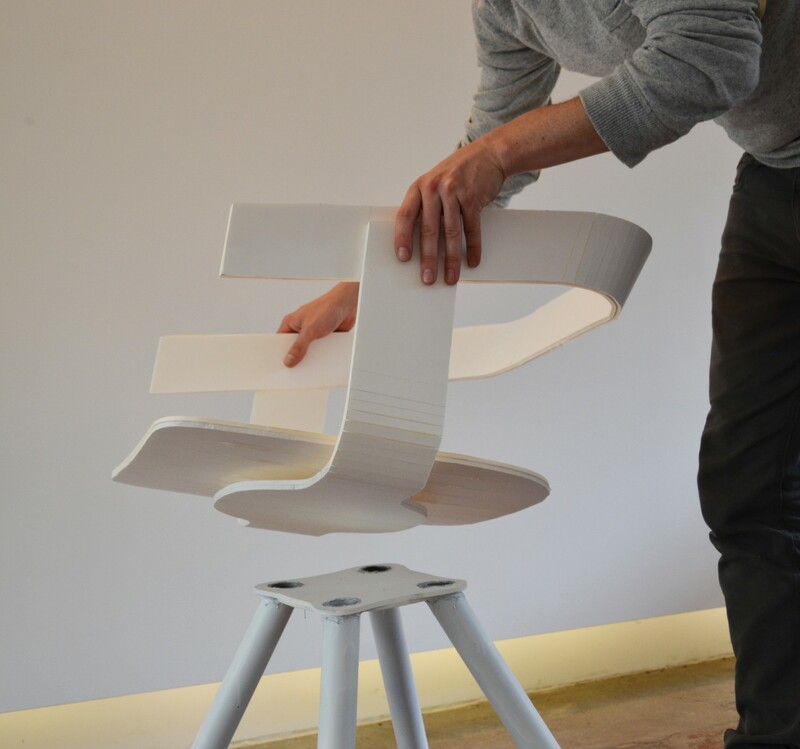 It is pretty much constructed as if it were a paper or foam-board mock-up. 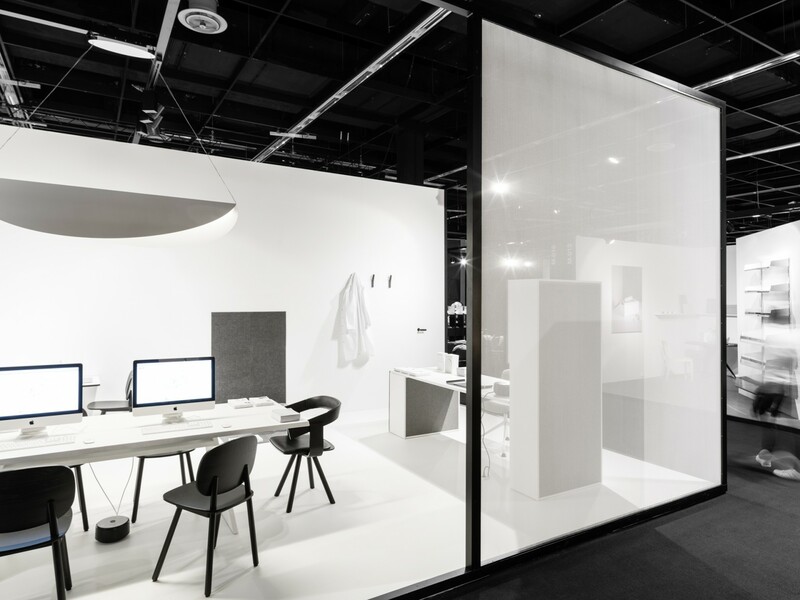 Because of the small amount of material used, the development process was not straightforward and required a lot of fine-tuning in order to achieve the structural strength and comfort we were looking for. 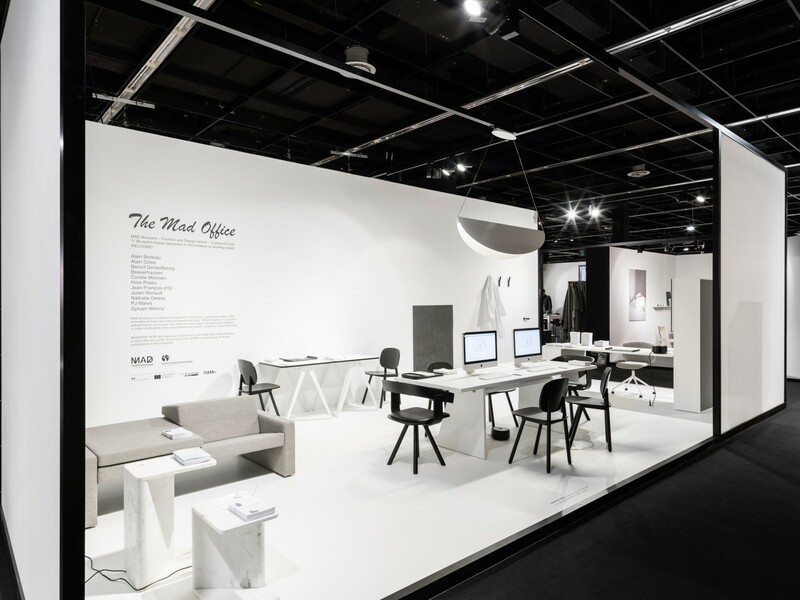 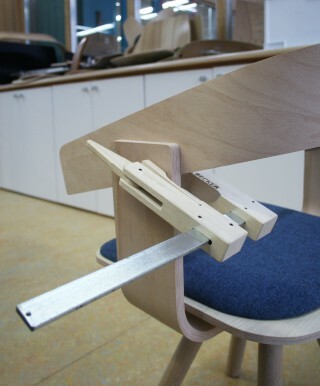 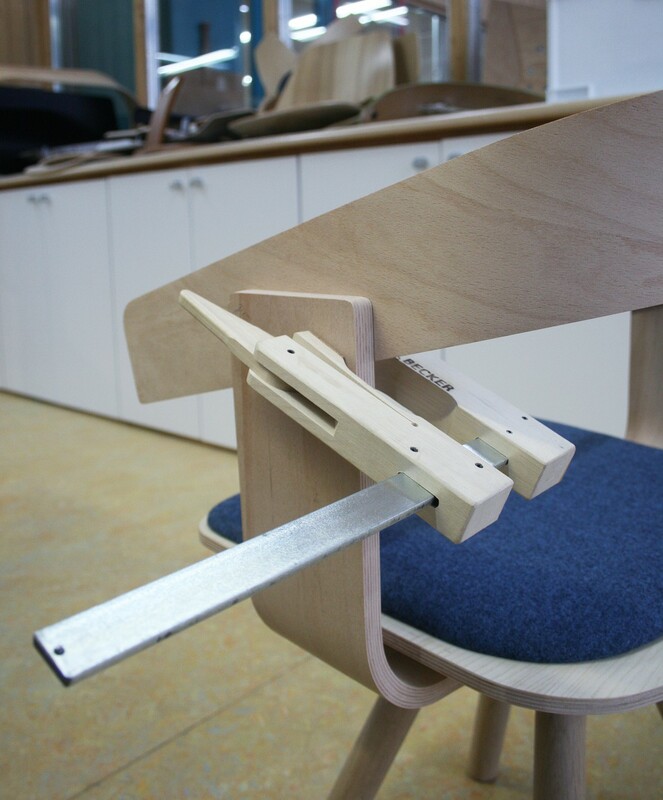 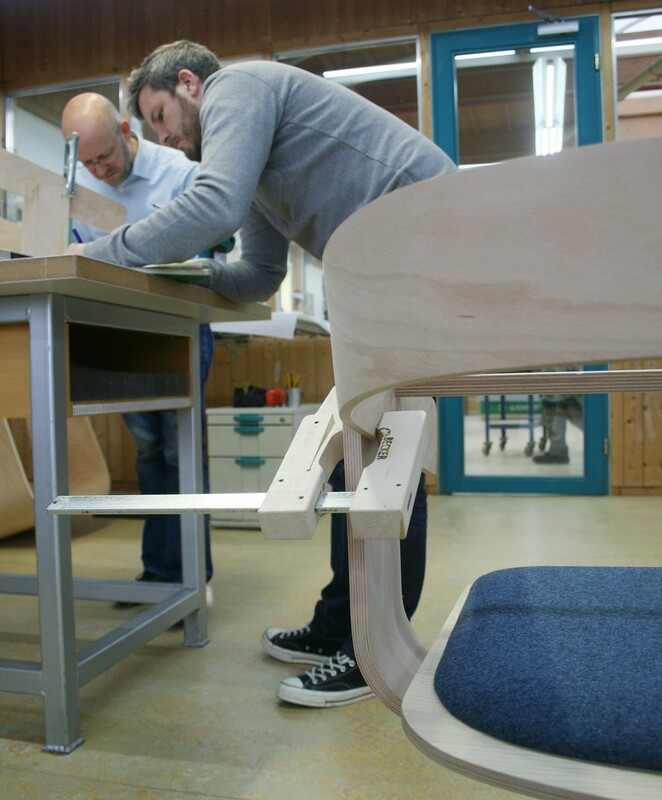 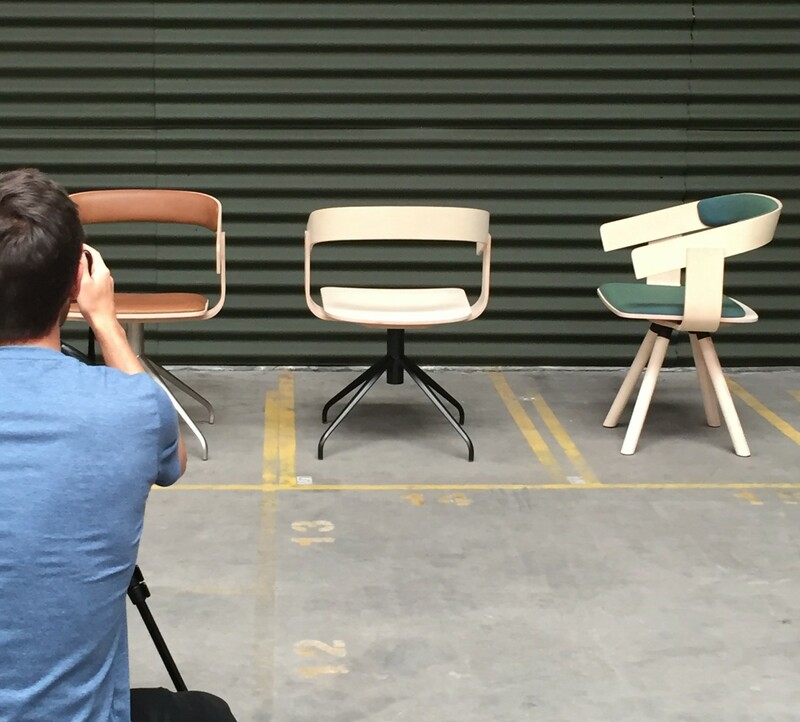 Eventually the right solutions were found without compromising the original design elements of the chair. 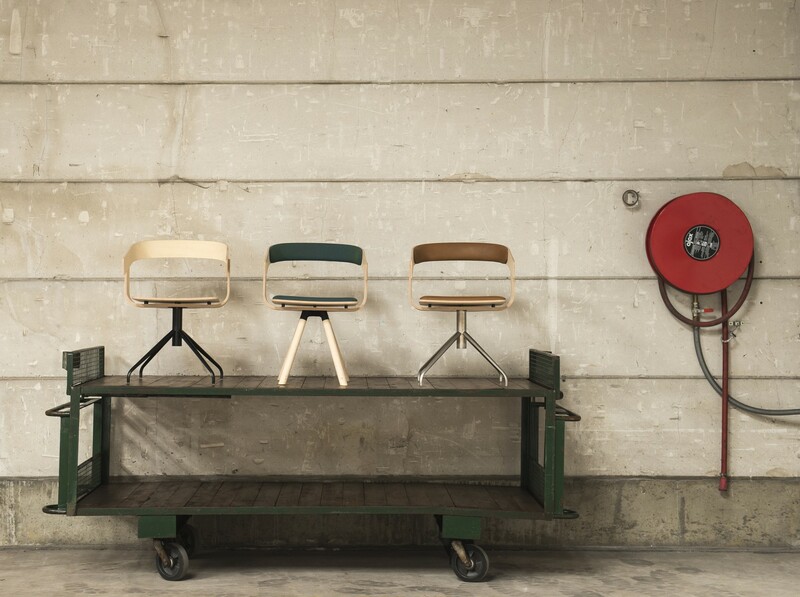 Depending on the model, the seat plate and backrest are then effectively dressed-up with padded elements for extra comfort. 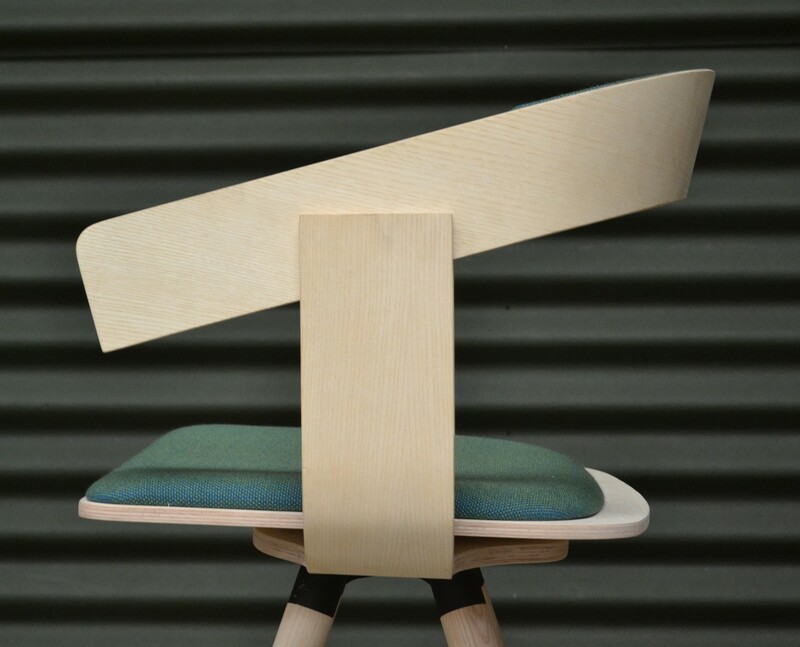 From a conceptual point of view these are treated as add-ons since they never fully hide the plywood element they are attached to, thus allowing the chair to maintain its simplistic aesthetic. 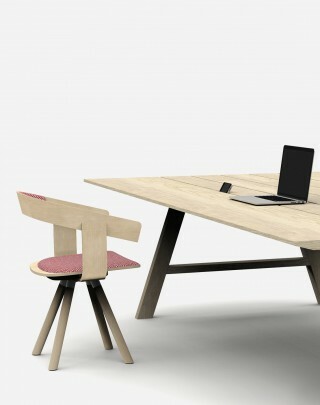 The original full wood model is a discussion between a lightweight shell and a heavier and warmer wooden base. 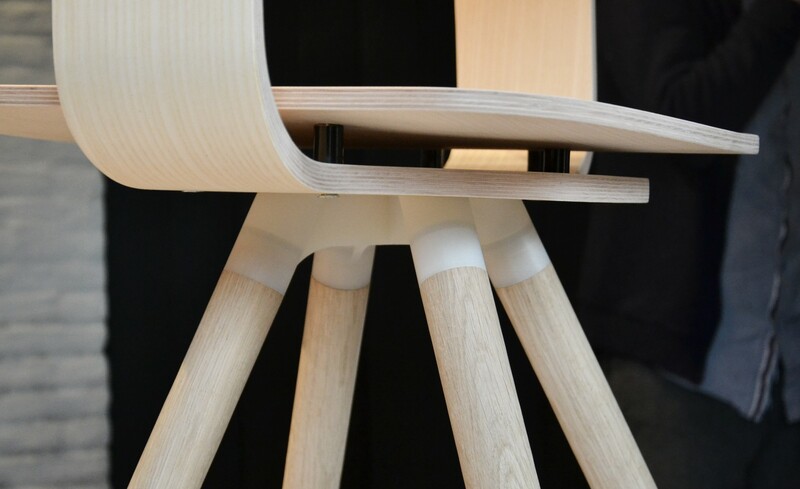 The straight legs of this base have a very straightforward design, with a constant diameter as though they were simply wooden sticks. 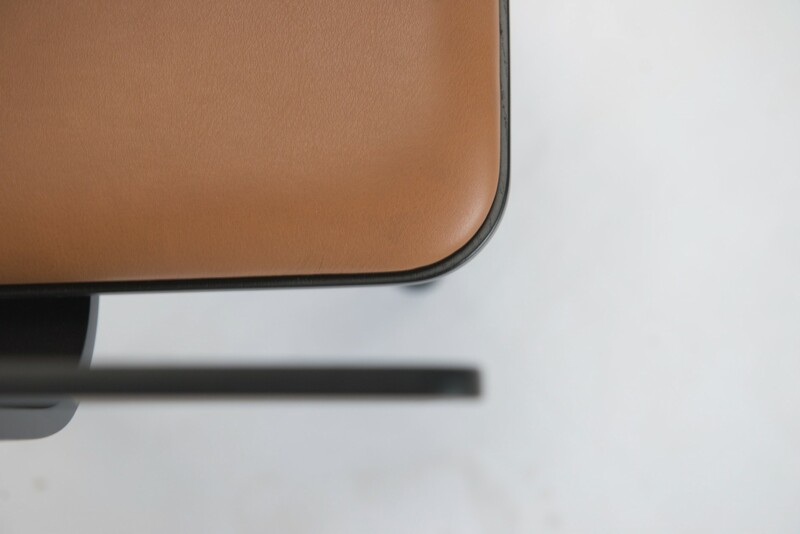 In order to offer a full and varied collection other bases have been designed to complement the shell and make its use more versatile. 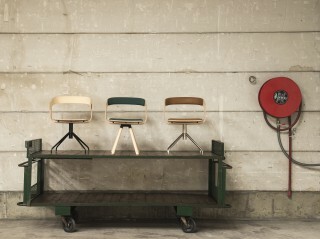 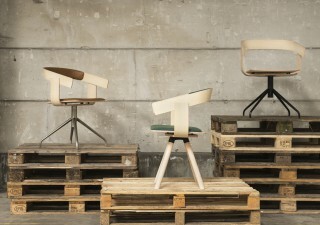 From the beginning, it was designed as a chair that could be used as well in the home or in public places. 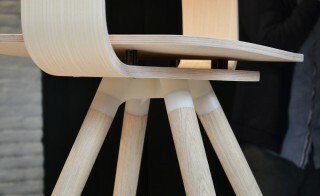 Materials plywood. Base in solid wood or metal. 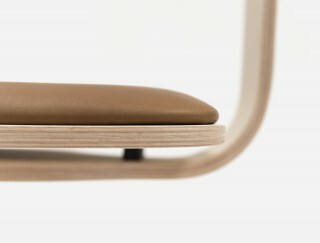 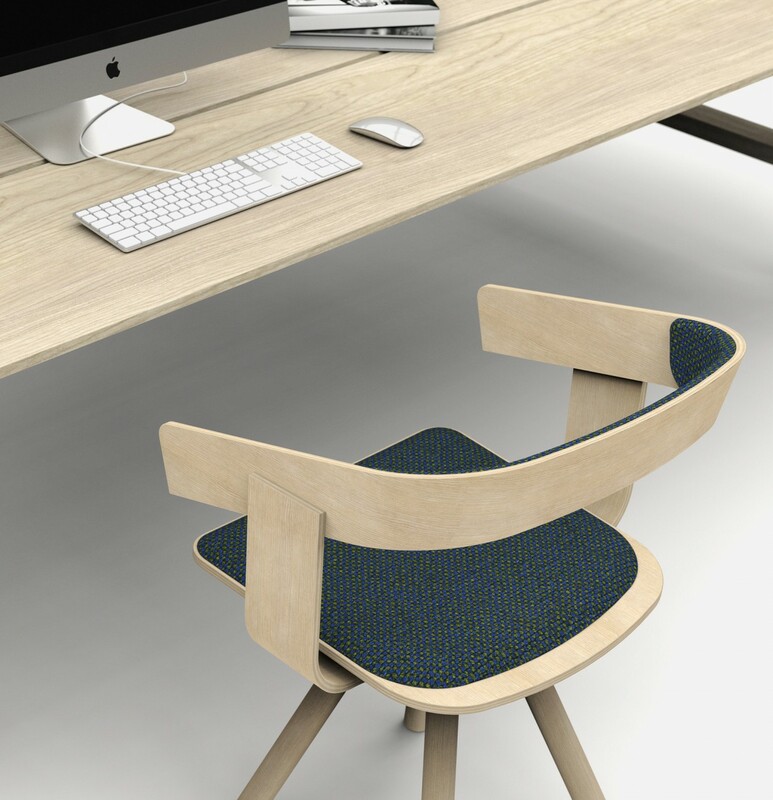 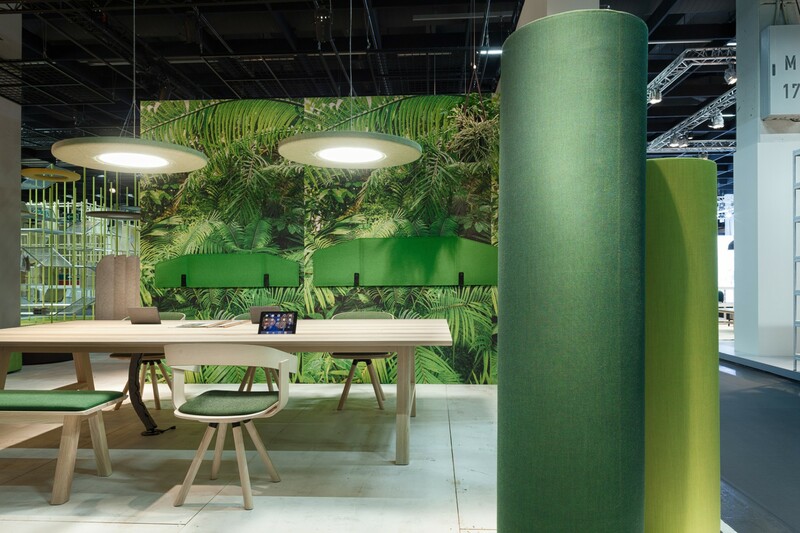 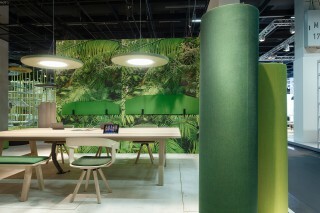 Extra padding: plywood, foam, fabric or leather upholstering.